Do Not Be Afraid of Math! In this post, I’d like to tackle a subject that a lot of quilters state they hate: Math. Let me start by saying that I barely graduated high school because I was so awful at math. They put me in a “Housewife’s Math” class with a teacher sitting next to me to graduate – and I learned how to balance a check book, figure out how much a mortgage would cost, average out how much groceries would cost me and I skipped all the algebra and geometry of my peers. It was humiliating but math and I just did not get along. 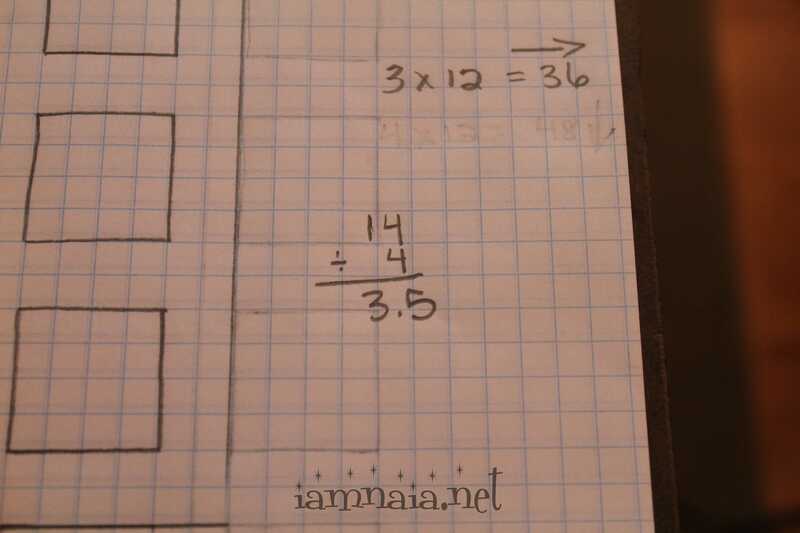 Long division would, quite literally and honestly, send me into convulsions with panic attacks frequent. So, having said that, let me introduce you to some math that does not make me want to run screaming to the hills. Quilters use math all the time and we have to be good at it (or have a really good pattern to follow) or our quilts just come out …. wrong and weird. Right? First – How do you figure out how many blocks you need for a specific size quilt? You could use a program to do it for you. You could use a pattern to tell you what to do. But, if you really want to do it yourself, then follow this…. Let’s say you designed your own 12″ block. It’s such a beautiful block and you want to make a quilt out of it! Well, how many of these 12″ blocks that you designed would you need for the average quilt? 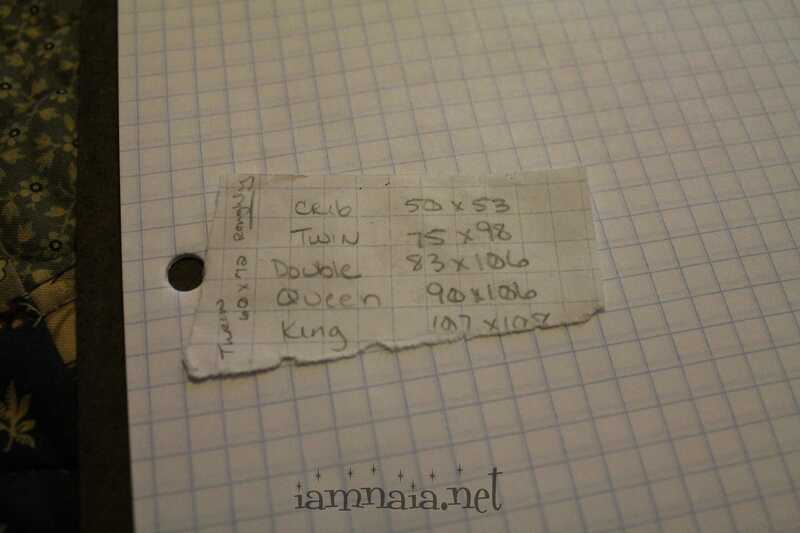 Quite some time ago, I wrote down a list of different quilt sizes. I don’t always follow the recommended sizes. I like to be creative and just come up with whatever I want. I use the general guidelines that I wrote down and go from there. 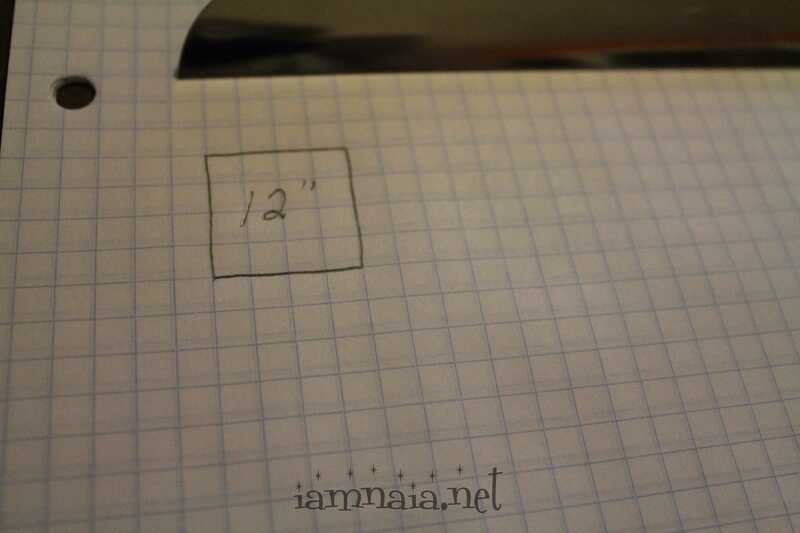 However, for today, we’ll use the sizes I wrote down and learn our math. 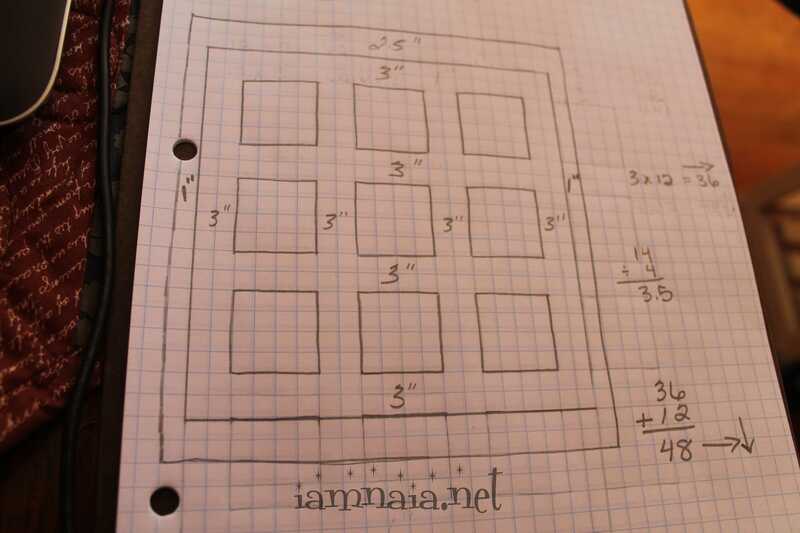 Crib size: 50″ x 53″ is what I have written. I have a 12″ block that I think is perfect for a baby quilt. How many do I need for 50″ x 53″??? 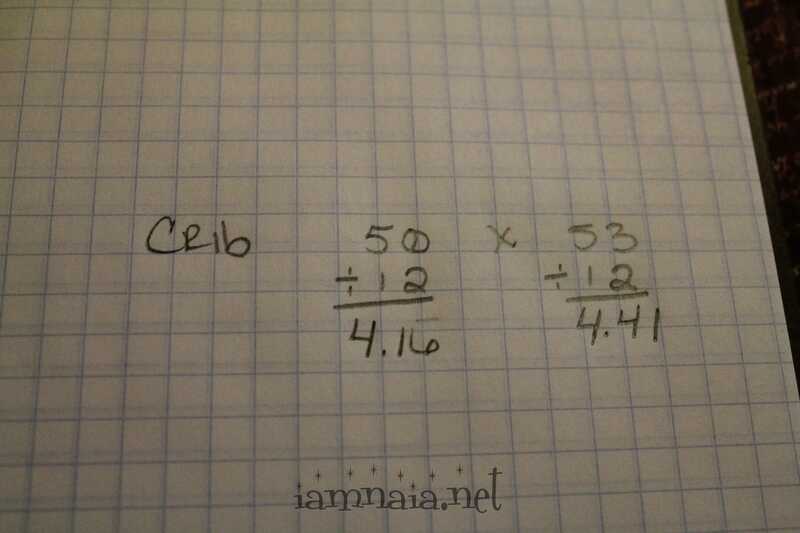 If I divide the length and the width by 12, I get my answer. I need 4 across (perhaps 5) and 4 down (perhaps 5) with no sashing or borders. Four across and four down equals a crib quilt of 48″ x 48″ with no sashing or borders. 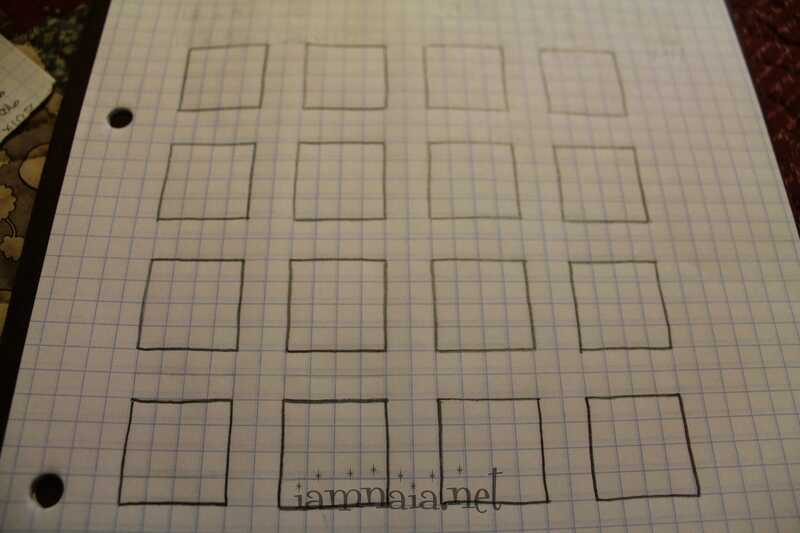 If I do 5 across and 5 down, I get a crib quilt that is 60″ x 60″ without any borders and no sashing. What if we want sashing to break up the blocks a bit? They are excellent blocks and need to be framed by sashing. 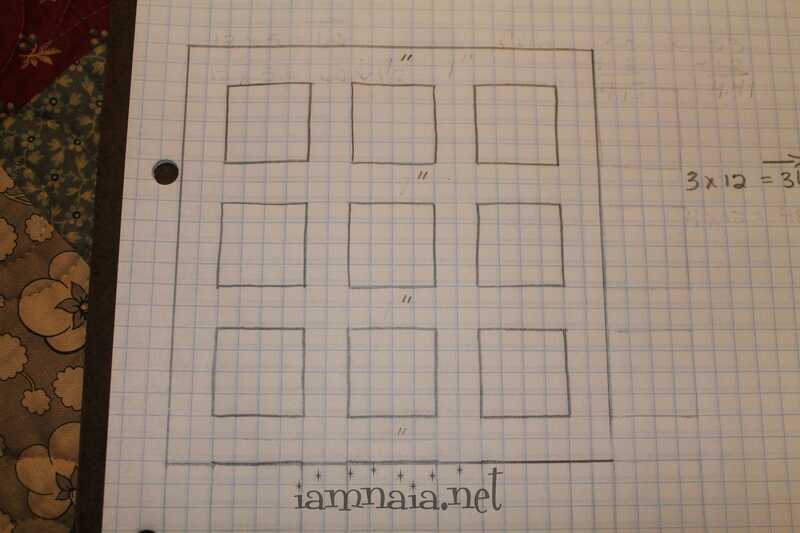 So, I drew on my graph paper a grid of 4 blocks by 4 blocks. They are 12″. I left a little space between each block so we could play with what size to do the sashing and borders. 4 blocks by 4 blocks is a crib quilt of 48″ x 48″. 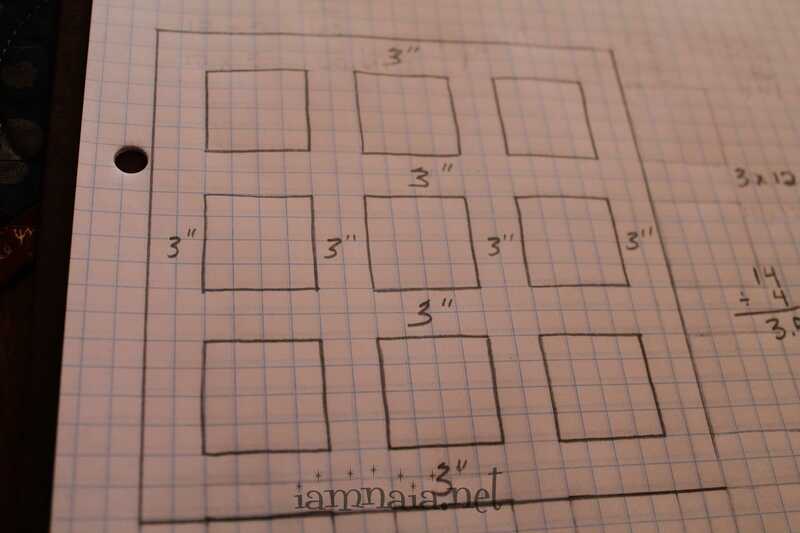 According to my handwritten chart, I need to make the quilt 50″ x 53″. That means we need 2 inches across and 5 inches down. Because it wasn’t quite enough to make proper sashing, I shifted my design to 3 blocks across by 3 blocks down. This creates a crib quilt that is 36″ x 36″ long with no sashing or borders. Now what? If it is 36″ x 36″ and we need 50″ x 53″, then we need 14″ added to the width and 17″ added to the length. That’s a tall order and, at this point, I would just decide to make it square. We have 4 rows on the length to add sashing and borders. We have 4 on the width we could play with, as well. It will be a square quilt when done because I really do not want to play with different sizes on the sashing and borders. I need 14″ for width and 17″ for the length. I would count the rows of sashing that I have to fill and come up with 4 down and 4 across. Divide 14 x 4 and we have an odd number: 3.5″ That’s a very strange number for sashing, so we’ll do 3″ in each. 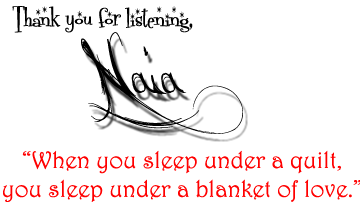 That gives us a crib quilt of 48″ across and 48″ down (if we do width and length the same). Now, we can still convert this to a proper size for a crib quilt. We could do 1″ for the side borders to make the width 50″ and we could do a total of 5″ on the length for a border (2.5″ on the top and 2.5″ on the bottom) and we’d have a crib quilt at 50″ x 53″. Such an odd set but nice, if we have the proper colors and settings. What do you think? Does this help at all? This is how I do things.